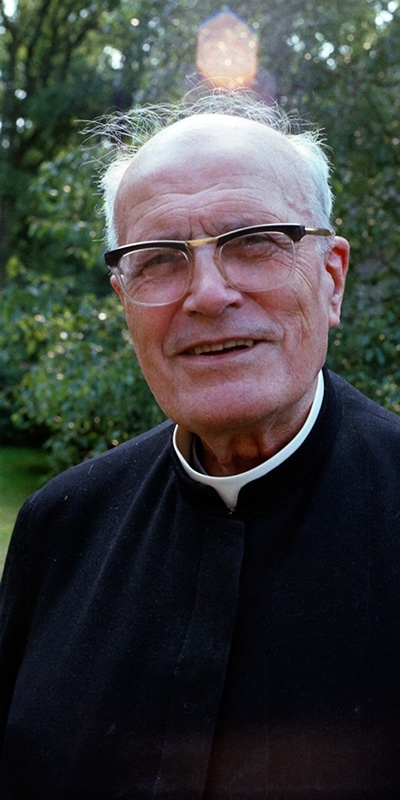 One fine day in 1972, a priest who was already elderly but full of verve arrived in Econe: Fr. Ludovic-Marie Barrielle, a member of the Parish Cooperators of Christ the King. This congregation, founded by Fr. Francisco Vallet, a Catalonian, is dedicated to preaching, in a 5-day retreat, the Spiritual Exercises of St. Ignatius of Loyola. Above all, the love of Jesus and the call of Christ the King move the soul and incite it to fight for the reign of Christ, in the Church as well as in society. The torch of the "Exercises"
Archbishop Lefebvre, who formerly had brought the Cooperator Fathers to Dakar, gladly welcomed Fr. Barrielle, who became a member of the Society and passed the torch of the Exercises on to the seminarians. 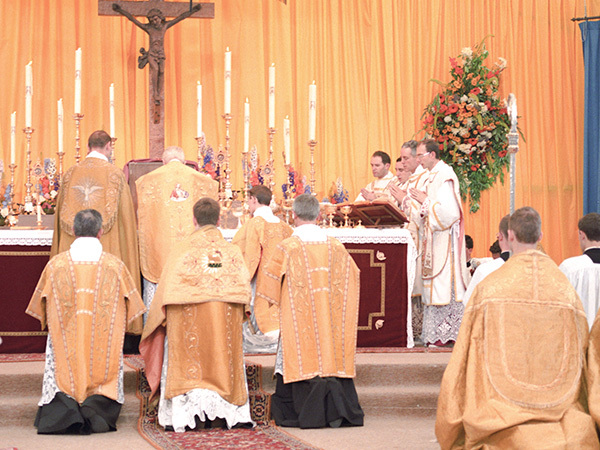 From then on the priests of the Society would preach the Exercises throughout the world: to laymen, but also to priests, as the Society’s Statutes intend, thus accomplishing the true purpose of the Society, “which is the sanctification of the priesthood”. 1. St. Ignatius of Loyola, Spiritual Exercises, no. 21. 2. Statutes of the Society of St. Pius X, VIII, p. 3.